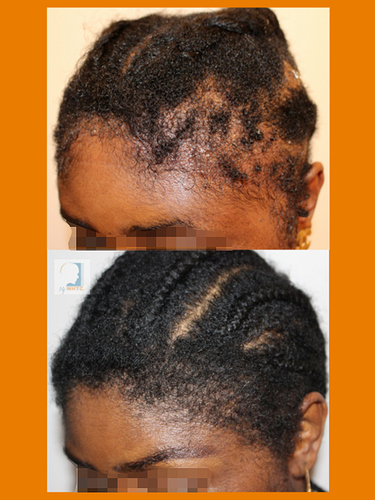 This thirty-nine-year-old female patient had 2,510 follicular unit transplantation grafts to treat the temporal recession. The patient has extremely curly coarse hair with about average donor density. Below are the photos that were taken at seven months post-op.